Training Smoke Q - Water Based, Quick Dissipating Smoke Fluid is ideal in small and medium training spaces where the smoke needs to quickly dissipate in order to reset exercises and provide visibility for post exercise assessment. Training Smoke Q - Water Based, Quick Dissipating smoke fluid is ideal in small and medium training spaces where the smoke needs to quickly dissipate in order to reset exercises and provide visibility for post exercise assessment. It is perfect for training towers and training trailers. It is high quality substitute that is suitable with water based smoke machines from many companies such as: Rosco, BullEx, VEI, Unifire, Martin, JEM, LeMaitre and High End Systems F-100. It is designed to have great density and fast dissipation for a short hang time. The smoke produced from Training Smoke Q is water based and environmentally safe. The clean and non-toxic smoke provides realistic search & rescue, SCBA, HAZMAT or leak testing without any of the risks associated with real smoke. All of our fluids comply with the strictest health and safety regulations, and are formulated to extend the life-span of your smoke generator. 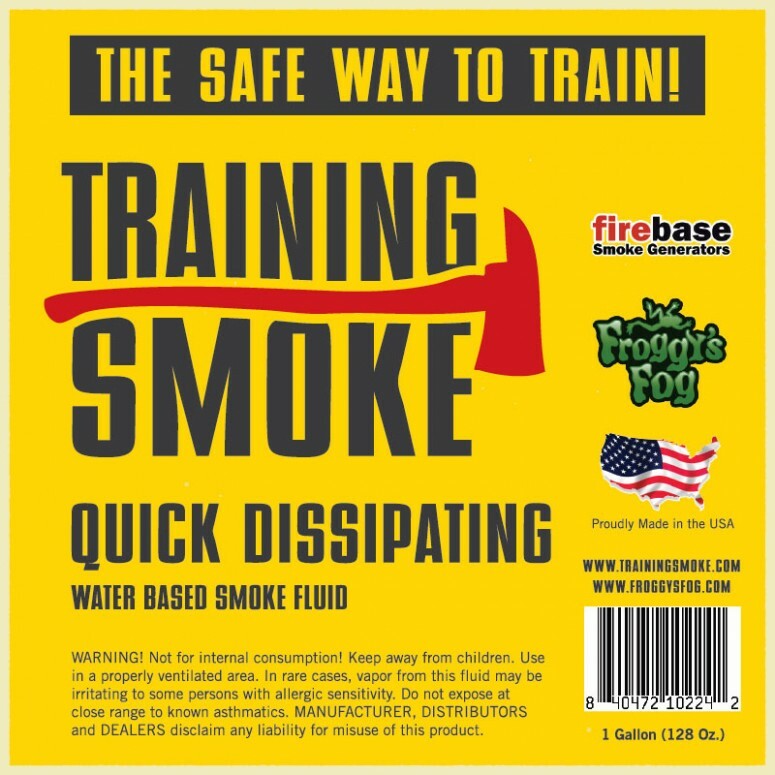 Training Smoke Q will produce the perfect effect for your training needs. It is made from the highest quality pharmaceutical grade chemicals. The amazing results you will see from this fluid makes Training Smoke Q Smoke Fluid the perfect alternative to high priced retail and OEM smoke fluids.